Hello Dearies! This time I am featuring eye make up for hooded eyes. If you're like me, whose problem is the skin on the brow bone drooping along the crease of the eyelid, then sit back and relax, because this article is for you! 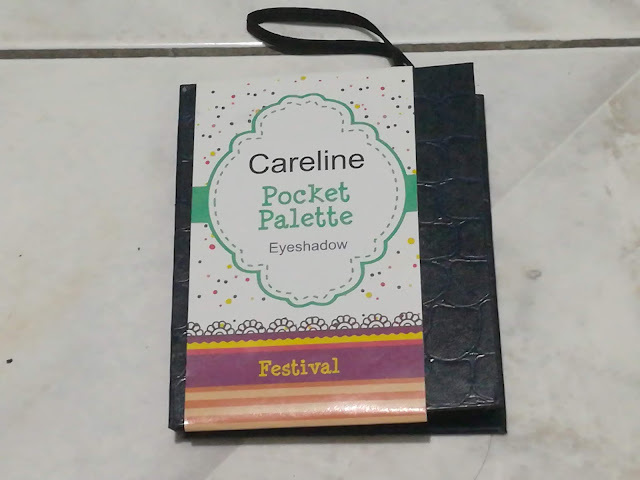 I was on the hunt for some cosmetics at Watsons when I saw this cute pocket palette eyeshadow from Careline. It is so small that you can slip it inside your shallow pocket. When I opened the case, 15 different eye colors were in view. I looked at the back to see the price and it was marked at Php 95.00 or USD 1.78. 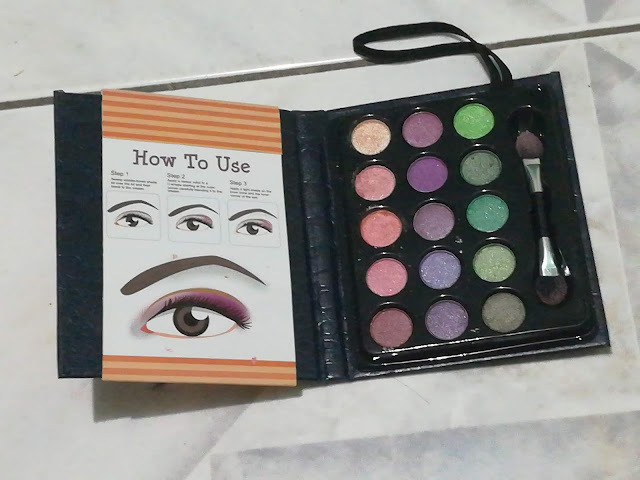 I bought it because I want to see if the colors would blend well with my hooded eyes. When we reach the age of 45 or over 50, our aim or goal in applying makeup should not be to look younger but rather to enhance or highlight our best features in a subtle way. As women get older too, we seem to lose our eye creases because it is hidden by the droop in our eyelids. 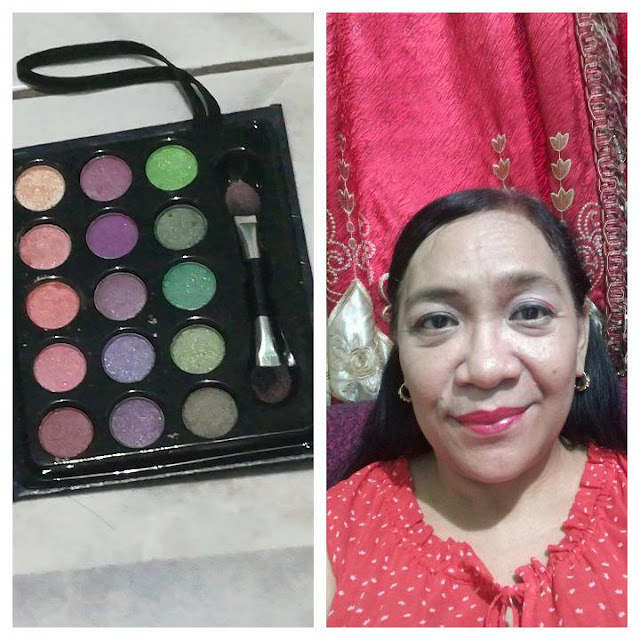 I want to share with you, my midlife sisters how I fix my hooded eyes, by simple eye makeup application. 1. Pick the lightest shade in the Careline eye palette and apply it on the entire lid. 2. I chose the second color on the first column of the eye palette and applied it on the outer brow. 3. For the entire crease of the eyelid, choose any of the colors you desired in the first & second column. Choose a darker shade. Blend the color you applied in the eyelid up to the outer brow to lift your lids. 4. Line your eyelids with black eyeliner, create a wing at the end of the lid. Apply the black liner gently so it will not create a harsh look. This will also lift your eyelid. 5. Apply a white liner along your lower lid, this will widen your eyes. 6. Apply a brown color below your eyelid, this will widen your eyes too. ( I used a matte brown eye color not found in the eye palette). 7. I applied a light highlighter along the brow bone. You can use the eye color you applied on your entire lid as a highlighter for your brow bone. 8. Finish. Watch the video below on how to get this look. Very, very cheap! I don't know if one can find an eye palette with 15 shades at this price! Once you dip the eyeshadow applicator, the eyeshadow breaks into particles easily. Yes, because it really serves its purpose. There are many eye colors to choose from. All the eye color from the first & second column are suitable for older women. It is very handy especially during travels. And at the price of Php 95.00 (USD 1.78), no reason that you can't buy make up for yourself. If you enjoyed reading this article, share and like it too. If you want to be notified once a new blog is up, hit subscribe, found at the top of this post.